A splendid blend of spices that is so simple to prepare, once you discover the power of this powder, you will never wish to pick a packet from those super stores! This delightfully aromatic spice powder is the basic ingredient used in making “Rasam” a delicious South Indian vegetarian stew made with or without dhal and eaten with hot, steamed rice or simply sipped like any other soup. However, without rasam powder, can there be no rasam? Wait n watch for our future posts to find out the magical answers while we get busy cooking some “Rare Rasam Recipes” and serve them soon! 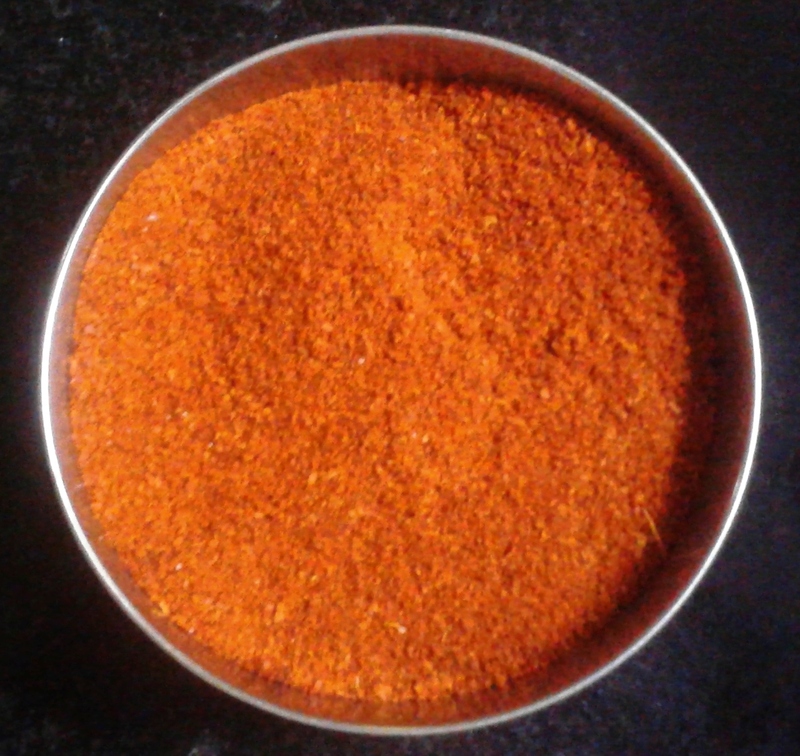 Dry fry each of the ingredients separately in a kadai on low flame till they change colour. Ensure they are not over roasted since they should not turn black in colour. Transfer each of them to a plate after dry frying. Allow them to cool well. Grind them to a fine powder. For better shelf life store it in a completely dry air tight container. Red chillies alone can be fried using just a drop of oil. To make 1 litre of rasam, approx. 2 tbsps of rasam powder is required.